At Ape to Gentleman we don’t go by trends, and rather select and curate for you products that are fit for your consideration. 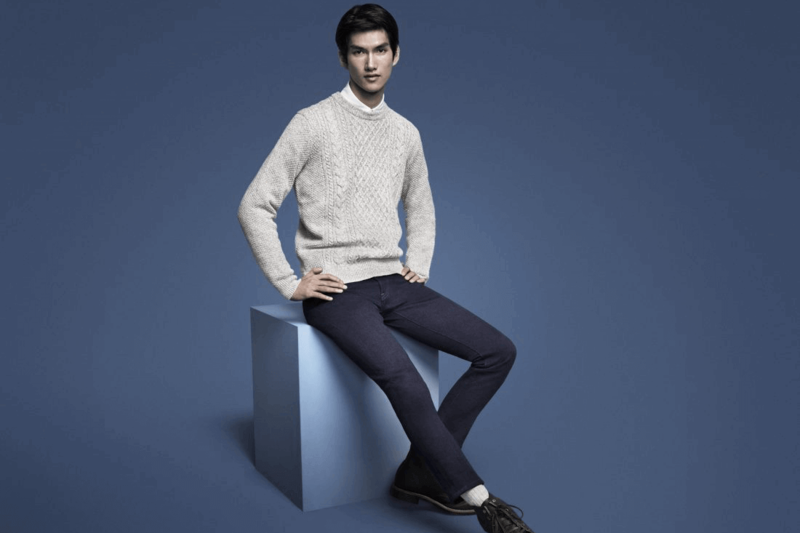 It seems that every season someone is talking about new trends in denim and how it’s ‘coming back strong’. It’s always been strong in our books. Maybe it’s true that designers are embracing the versatile and robust fabric, but that hasn’t stopped it becoming one of the world’s most worn items of clothing. With that in mind, we’ve chosen a handful of jeans that will make stand you out from the crowd, regardless whether you’re a denim fanatic or not. The beauty with selvedge denim is that it’s in its raw form. The indigo dye has permeated the cotton, and after the weaving process has been left alone ready to be cut and sewn. The great thing with selvedge denim is that over time, your wearing will create personalised creases and fades that are unique to you. One thing to keep in mind when wearing new selvedge jeans is that the indigo will rub, so avoid contact with light coloured objects. 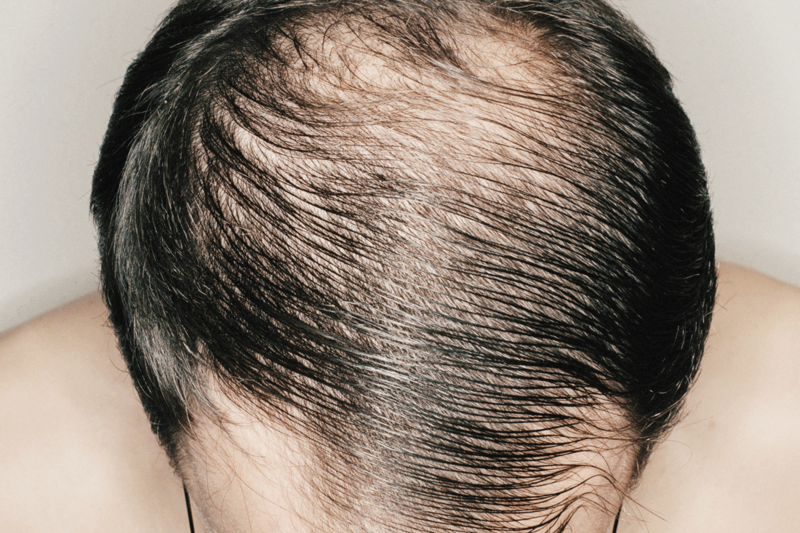 There are also lots of suggestions in maintaining the life of your jean. That is of course completely up to you. If you wish to wear it in quickly you’re more than welcome to wash – although we do suggest starting with a hand wash. 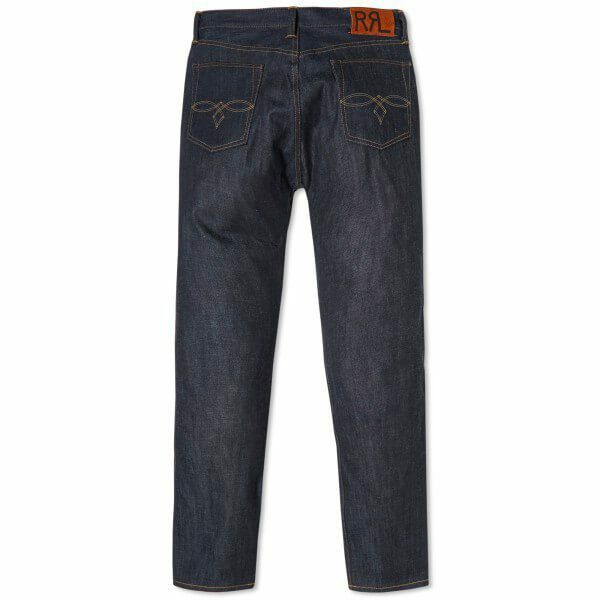 Otherwise, to keep the colour and give longevity to your jean we suggest using Mr Black’s Denim Wash and Denim Refresh. A classic American brand beginning in 1967 as a tie manufacturer, Ralph Lauren have played an integral part in the recent fashion history of the USA. Inspired by America’s history in denim manufacturing, the RRL Low Straight Selvedge Jean (£139) is a straight cut jean, constructed from a 15oz denim and spun on traditional Draper shuttle looms. 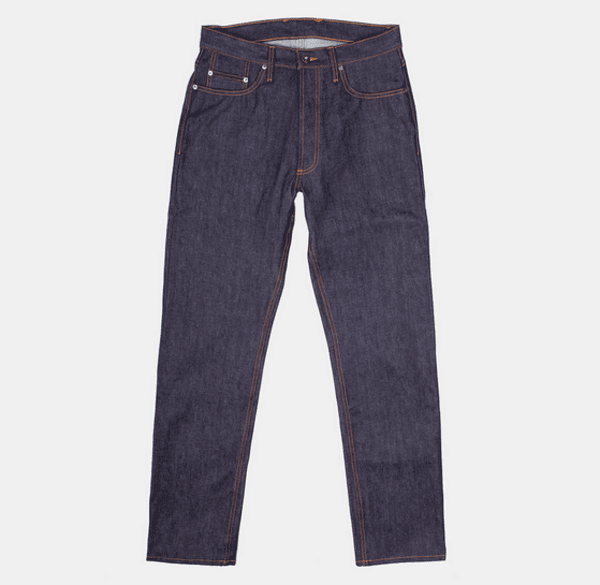 The Off The Loom Selvedge Jean by Flying Horse Indigo Goods (£245) is a straight fit jean that carries all the hallmarks of a good selvedge jean. Created by David Rix – a denim enthusiast who used to work at RRL – it incorporates a respectful approach to the tradition of denim making while using sustainable raw materials. Un-singed and direct from the looms, this selvedge will give you the full experience of breaking in your jeans. A straight fit jean that will need a good amount of time invested into it, it comes with a handing sanding tool if you so require to enhance any fades. 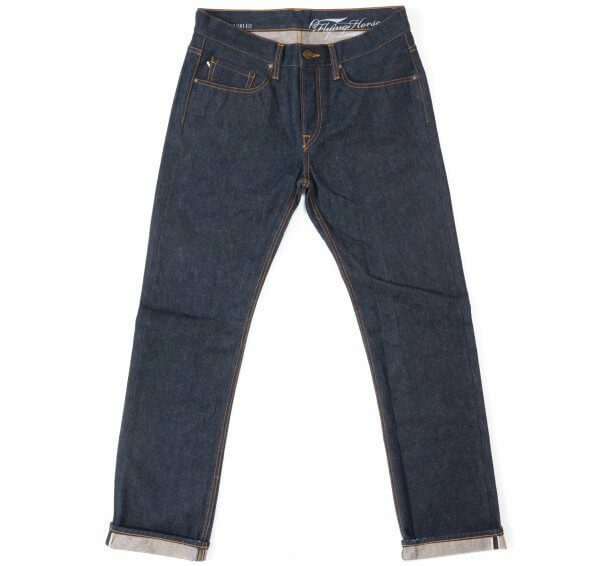 The 3 Sixteen CT-100x Classic Taper Jean ($220) is a jean that utilises classic straight fit with a high rise and a taper from the knee down. 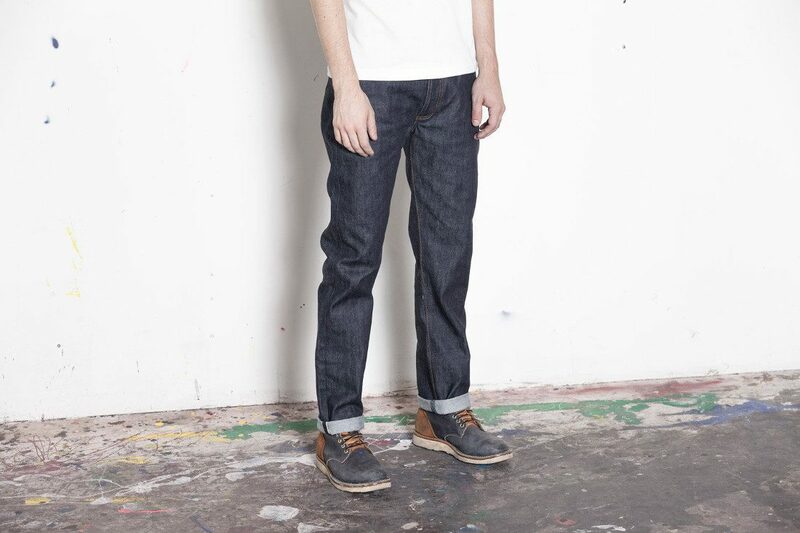 The raw indigo selvedge denim is custom woven exclusively by Kuroki Mills, Japan. The fabric has a lovely soft hand on the inside that is uncharacteristic of raw denim, making it much more comfortable than other selvedges while also being easy to break in.